With this robust pole you can set up not only your tent or awning, but also awnings, tarps and tarps. 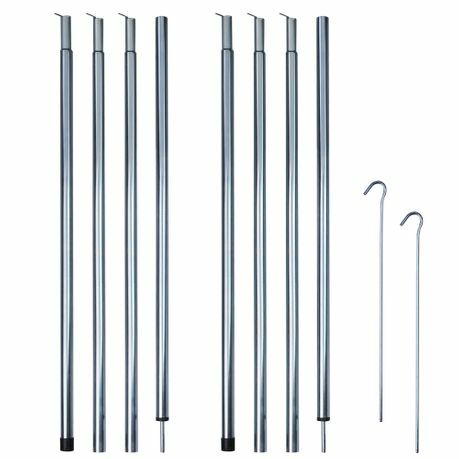 The robust material of the steel tent pole is very robust and provides a high stability. The segments of the tarp bar are supplied in a practical packing bag. Thanks to the simple plug-in system, the installation poles are child´s play to assemble in just a few seconds. 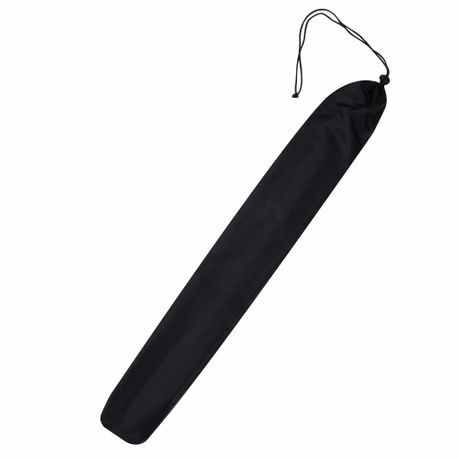 In addition to the use as an erection pole for tent entrances, sun sails or tarps, this type of pole is also used for caravan awnings as a storm pole. Outdoor tarpaulins can also be stretched over a tent as an additional roof. The diameter of the individual bar segments is 16 mm. 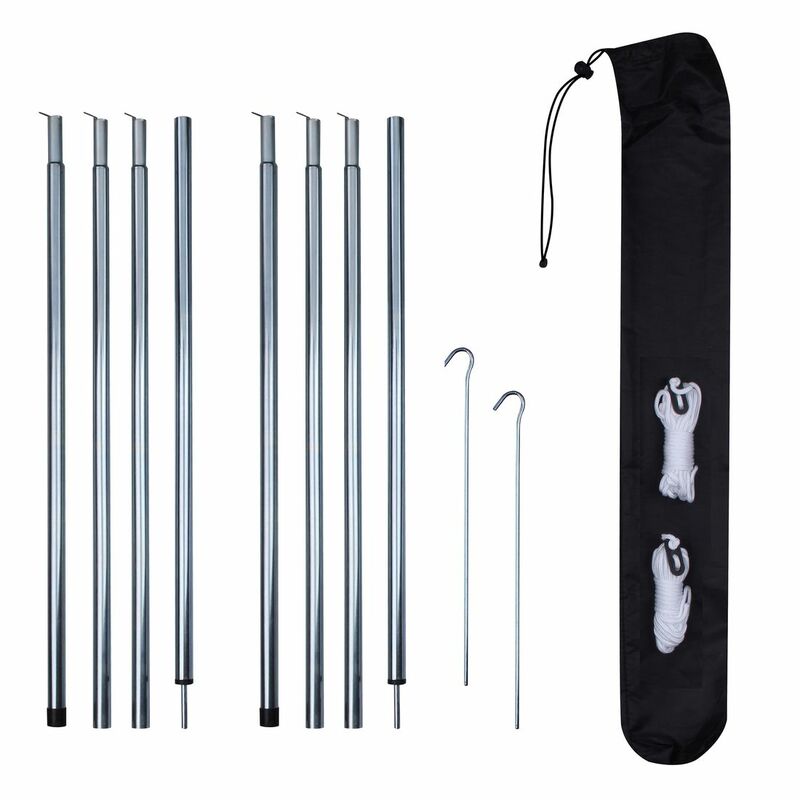 In summary, this versatile tent pole is a useful all-rounder for camping, trekking, outdoor or even in the garden. Perfect set to set up tent entrances, sun sails or tarps. Each rod consists of 3 segments which are simply inserted into each other. The assembled pole is 200 cm long. Spring clamps secure the assembled rod segments of the tare rod. The upper segment has a tip for insertion into the eyelet or holder and for fixing the tension line.